It’s not often you come across a business that’s been around for 150 years. It’s even more rare to see it growing in popularity. J.R. Watkins is a popular network marketing company that offers a range of products from lotions and soaps to spices and oils. With an intriguing rags-to-riches story, J.R. Watkins became the largest MLM in the world at one time. 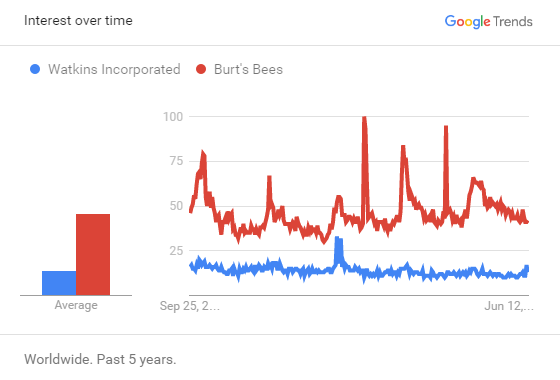 Today, they’re quietly gaining a market share against some of the biggest brands out there. 1. What does J.R. Watkins sell? J.R. Watkins sells natural, environmentally friendly personal and home care products, as well as gourmet foods, including spices, extracts, baking decorations, and cooking sprays. 2. What are J.R. Watkins’s most popular products? Their spices and extracts are now rivaling the industry leader, McCormick. Their body care products, sporting old-time labels that make it clear these products have been around for a long time, are also popular. Who can resist hand creams labeled, “Creme pour les Mains,” and hand soaps labeled, “Savon pour les Mains,” especially when those labels have a genuine apothecary look and feel? 3. How much does it cost to join J.R. Watkins? You can join Watkins for $29.95. 4. Is J.R. Watkins a scam? No, Watkins is one a legitimate business selling real products. Their products can be bought in retail stores, and some of their brands are rivaling long-time industry leaders. 7. What is J.R. Watkins’s revenue? We couldn’t find any numbers published online. 8. How many J.R. Watkins distributors are there? We couldn’t find any numbers published online. So is it too late to get involved? Either way, here are 13 things to consider before joining J.R. Watkins. They’ve been around for a long time. Like about 150 years long. If you’re looking for established, this company is literally historic. The J.R. Watkins administration building in Winona, Minnesota is now a museum and has been added to the National Register of Historic Places , and his house in Plainview, Minnesota where he mixed his first batch of the company’s signature liniment was purchased in 2008 by the Plainview Area History Center . Antique stores aren’t just for grandma anymore. From college kids to Macklemore, thrift shopping is in, and the whole nation is going retro. Who doesn’t love nostalgia? 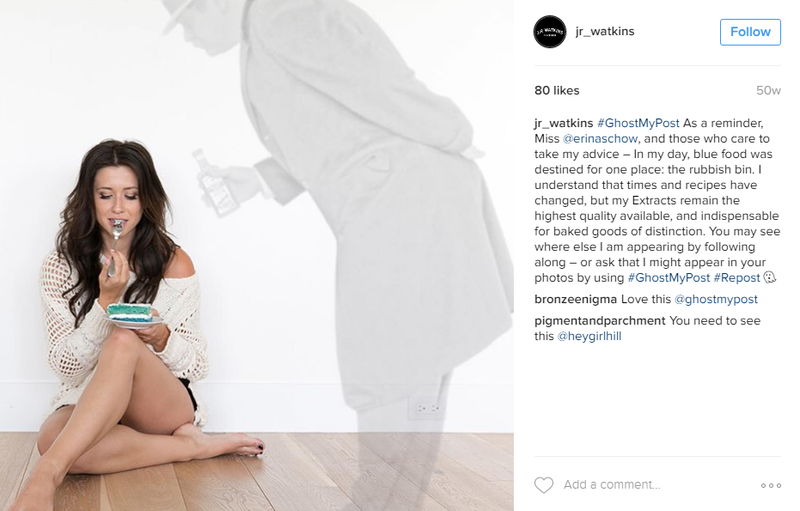 J.R. Watkins sets themselves apart from the “futuristic” vibe most MLM companies are rocking nowadays by really leveraging this trend and maintaining the original aesthetic of their bottles. Their products have that vintage charm that people love. In fact, there’s even a sappy (ahem, “heartwarming”) made-for-TV movie inspired by the life story of a Watkins salesman called Door to Door. Somehow, this company managed to build a nostalgic, positive image instead of the negative connotations that door-to-door sales usually conjures. In the 1940s, J.R. Watkins was the largest direct sales company in the world. Obviously, they were doing something right. They might not be as trendy as Le-vel or Purium, but they’ve been around forever. As charming as the vintage wares can be, companies still have to update their image to keep up with trends and modern times, and J.R. Watkins seems to be struggling. J.R. Watkins offers their distributors, “consultants,” three ways to sell their products. They can buy at wholesale prices and sell at retail prices, pocketing the difference. The company suggests prices but consultants can charge what they wish. Commission ranges from 15-49%. They receive commission on sponsoring new team members who make product sales. Commission ranges 10-15%. They can earn income through incentivized bonuses and leadership rewards. There are three main levels – consultant, manager, and executive – each of which has a bronze, silver, and gold level. Moving up will get you bonuses and additional earnings. The sign-on cost of $29.95 is actually an annual fee required to maintain a Watkins Membership, cheaper than a lot of MLMs (hint: SeneGence, Monat, or Norwex). The initial package to become an Independent Watkins Associate includes some training and literature to get you started and up to a 35% discount on product. You need to purchase $100 of product a month to stay active and qualify for commission. That being said, upgrades in membership are encouraged and will lead to higher earnings. These range from $69.95-$349 in monthly orders that include product for home party settings on the lower end and product for “serious business builders” on the high end. The first three months of web maintenance for a distributor’s personal sales website are free, but afterward there’s a monthly fee for that as well. In 2008 they introduced a line of all-natural personal care products capable of competing with the popular Burt’s Bees, although they’ve yet to catch up with Burt’s popularity quite yet. The company’s extracts — vanilla, lemon, almond, etc. — are now the No. 2 U.S. brand. This one might be a deal-breaker. A lot of changes have been introduced by the new ownership that pulled J.R. Watkins out of bankruptcy in the 70s and back into the green. 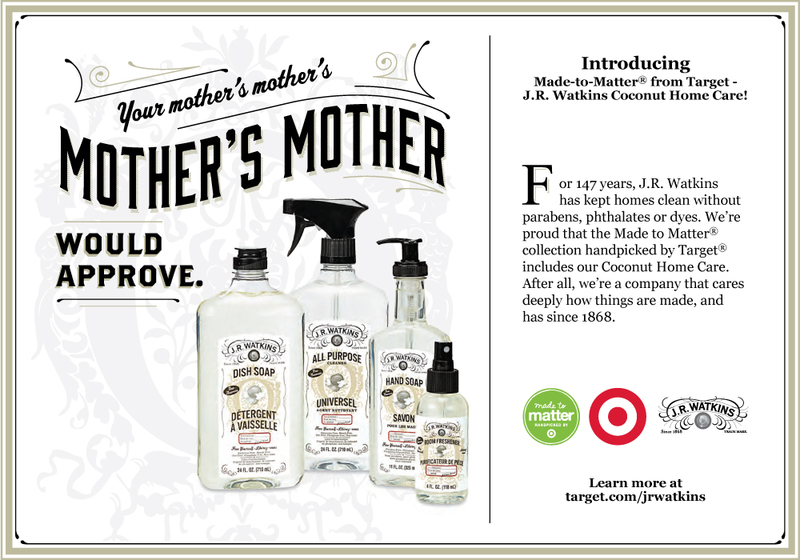 Namely, in the 90s and early 2000s, J.R. Watkins started introducing their products into retail stores. While they still have some products exclusively available through their consultants, the company now sells many of its products everywhere from Walmart and Hy-Vee to Whole Foods, Walgreens, Ulta, and even Target. While this has been great for the company overall, it isn’t great news for distributors. Do you really think you can compete with the likes of Target? The fact is, retail is cheaper and more convenient for consumers. And the proof is in the numbers – their retail channels now make up a large majority of their $120 million in annual sales. While this company shows a lot of promise, they may be phasing out their direct sales methods. You definitely wouldn’t want to join J.R. Watkins expecting it to replace your day job. They’re not a bad company at all, but there’s just more sustainable income opportunities out there. Thanks for the review…it is mostly accurate. We joined Watkins as Consultants fairly recently and have be very happy with the company, the training and the products so far. This is our 2nd MLM company and Watkins is far and away the best we’ve experienced. Also in point #5 of your review, you mention upgrades of $69.95 – $349 per month. This is not accurate…there are no additional upgrade fees per month other than perhaps purchasing some inventory if a consultant wishes to do that. All the training is free, the consultant website is free etc etc. We print our own business cards for very low cost but we did purchase some nice little bags from Watkins for putting our products in. These cost us around $0.05 each. In your final point you say “they may be phasing out their direct sales methods.” You couldn’t be more wrong (in our opinion). The direct sales channel is alive and well. The company culture and training is amazing. The customers are extremely supportive and loyal. Many of our customers are third generation Watkins users. Most of our customers prefer to support their local Watkins Consultant and NOT shop at Target etc. Thanks Jeremy, we are here to answer any questions you may have or help any prospective Consultants with questions or get started. Thanks for your thoughtful response and the corrects – thanks! Great article Jeremy, and as Lauren & Rob pointed out, there are a few changes that the company has gone through in the last couple of years that makes a few points incorrect. The signup is currently $29.95 and the e-consultant site is now free with all memberships, including a free prospecting site and access to our training site and our Performance Rewards which allows you to earn a trip for 1 or 2 annually. (All expenses paid). There are many perks with the business and bonuses as you advance to new levels. I’m not sure what you meant by encouraged to buy up to new levels/upgrades in membership…perhaps you were referring to the starter kits Watkins used to offer that would boost your points? If so, those are no longer offered. Like any company, the more you sell the higher your volume and you can advance to new levels. Each level earns you more, some give you different bonuses like the New Manager Bonus (enter into a pool of new managers to earn up to $500 USD each month for 12 months that you qualify) or First Time Bronze, Silver or Gold Manager bonus of $750 USD. I have to agree to with Lauren and Rob as well, I don’t find the products in store a bad thing at all. I never try to compete with stores for starters, while they have limited # of items to sell I have the whole catalogue. Customers seeing the products in stores often remember the Watkins name and then search out local consultants because the item they want (ie. chicken soup) is not sold in Target or wherever, so for that they need a local consultant. I have also seen the products priced very high in stores. Sometimes they are cheaper yes but I’ve also seen them at higher prices than consultants would sell at as stores have higher expenses and overhead to consider. So it’s all how you look at it but I wouldn’t say it’s deal-breaker, for me and my business it’s been great advertising of the brand name and helped me gain customers in my area. As for their lack of followers, since distributors are the ones trying to promote their own business I wouldn’t be too happy if J.R Watkins starting doing tons of social media promotion. It’s enough to compete online with other companies and even consultants but to compete against the company itself? 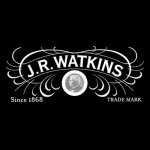 J.R Watkins is building a bit of a social media presence but not one to over-power it’s distributors. They also have some new contracts with supplying hotels and even offering gifts for purchase on some airlines which is helping with product recognition. The company has survived recessions and depressions and has never failed to pay consultants. They offer their satisfaction guarantee and have changed with the times to stay competitive and fresh. It’s totally a company I feel confident in putting my time into, knowing it is very likely to still be around in my retirement years and I plan on this remaining my #1 job and the one to give me the work/life balance I enjoy. I love that the company doesn’t have auto-shipments and they don’t require you to order a certain amount to stay active. Yes, you must have approx. $100 to earn commissions on team or customer sales but if you are running a business, that is not hard at all. Especially if you love the products and are using them yourself! But if you don’t order one month or two, no worries, you don’t get booted out or put inactive like other companies do. Again, I like your article and points you wrote but think the corrections should be noted. I came across your article from someone researching the business and the incorrect information led to some confusion from what they read elsewhere. Cheers! Cool, thanks for those updates!